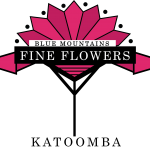 Katoomba Fine Flowers offers the best in hand-delivered fresh flowers and plants in the Katoomba, NSW area. Select Designer's Choice for the freshest flowers, hand-arranged by Katoomba Fine Flowers. As a local Katoomba florist, Katoomba Fine Flowers offers a wide variety of flower arrangements, including Native Australian Flowers. Nepean/Blue Mountains Prostate Support Group Inc.
Every man has a one in five chance of being diagnosed with prostate cancer by the time they are 85. Nepean / Blue Mountains Prostate Cancer Support Group is here to support you. Whether you have just been diagnosed, contemplating treatment, had treatment or know someone who has, we can walk this journey with you.